Bariatric Times, a peer-reviewed journal, is published monthly and offers its readers concise articles from nationally renowned authors and delivers up-to-the-minute information on bariatric trends and developments, the latest clinical and research findings, and current developments in all aspects of products and services utilized in the treatment of obesity and metabolic disorders. Each issue of Bariatric Times offers a wide spectrum of multidisciplinary technologies and insights impacting all areas of bariatrics. In so doing, Bariatric Times has answered the need for a practical bariatric information source with proven results. Bariatric Times is intended for surgeons, physicians, nurses, and other allied healthcare professionals in the field of bariatrics. Subscriptions to Bariatric Times are free to qualified healthcare professionals. 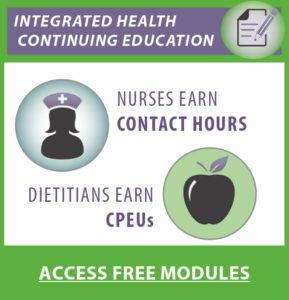 Matrix Medical Communications is a Continuing Professional Education (CPE) Accredited Provider for The Commission on Dietetic Registration (CDR), the credentialing agency for the Academy of Nutrition and Dietetics.